September 8, 2015 - No Comments! 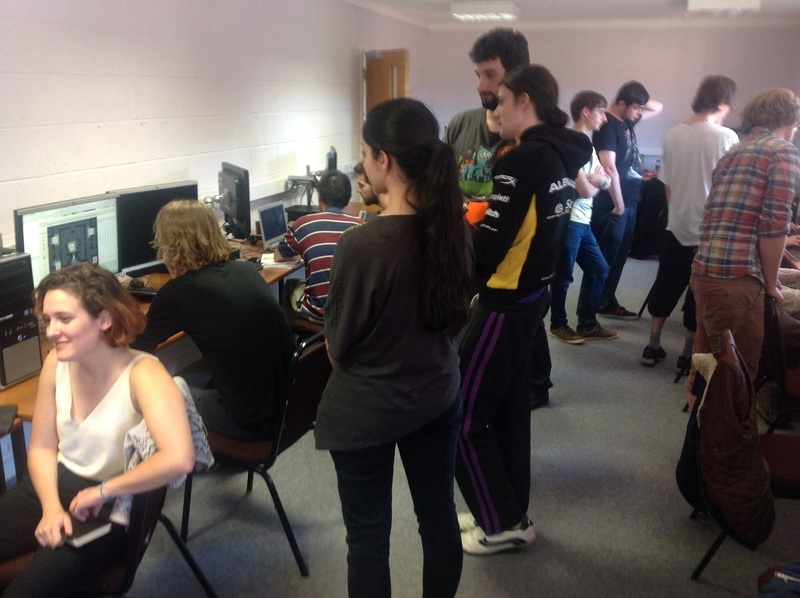 On the 10th of September our professors kindly let us invite non-Brunel students onto campus to try our games. With that extra pressure of completing something presentable for outside eyes, us masters bonded over tight deadlines and development sprints. Hours before the doors opened we were pinched over last minute bug fixes, keyboards clacking as we polished gameplay. The event was busy, guests traveled from as far as Canterbury and Cambridge to play our games. (Thank you!) We were overwhelmed by the interest and we welcomed everyone with drinks, cookies and controllers. With only three hours in which to play games and so many playtesters, not everyone got to play all the games. However everyone seemed satisfied with what they got out of the day and we ended the event with some celebratory drinks at the pub. Thank you Ashley for the picture! My notebook is filled with notes. Some of the biggest observations was my gross underestimation of the time it would take to play the game. While originally I was expecting it to take 10 or so minutes, the reality of it was closer to 40 minutes. It was a similar mistake to the one we did during Meeting. A puzzle that would take 1 minute to complete for us designers would take 20 for two completely new players. In this game, the time difference was greatly to do with the amount of content in the game (people spent an average of half a minute looking at things, then rechecking them for the number code for the safe). However what took the most time was the fact that the key was accidentally really well hidden. While it took up a quarter of the screen, everyone seemed to overlook it to the point that I would have to interfere in every game session at around the 30 minute mark. It was an interesting optical illusion and while funny to a lot of players, it will have to change. Some things that worried me before playtesting day were settled. My game has a strange navigation system that might be more intuitive for tablets but on PC might seem a bit esoteric. However the instructions were clear to almost all players and after two minutes they could control the device with ease. To be absolutely sure, I might add an extra line of text to go with the current animations. While I like everything being diegetic, it will also be easier to include a system that makes it clearer what objects can and can't be interacted with as some players would resort to clicking on everything. This might not need to be the case in the tablet version but for PC, the platform on which it is being graded, it will make interactions smoother. Also, I will have to add in the option to read handwriting as typed text as some players had difficulties with a few words. The overall feedback was fantastic! After finishing the game I would ask my playtesters: "What do you think happened?" What a relief it was to hear them relate back to me what I was trying to say! 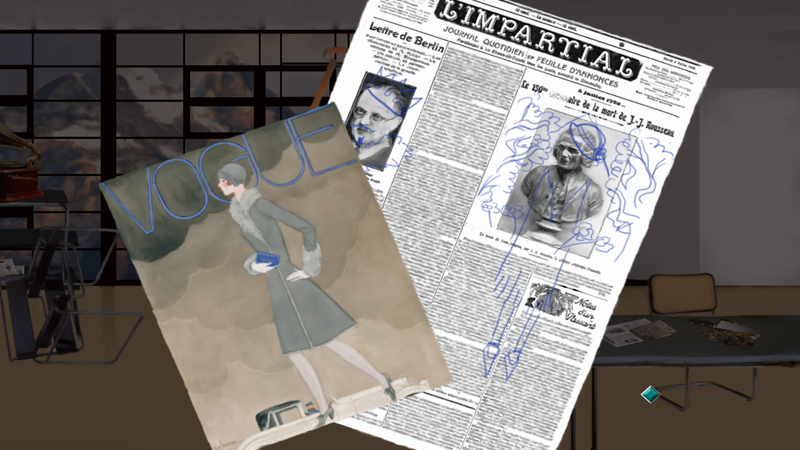 Everyone understood my main point while reacting differently to it, the more observant players would go deeper into the story, others caught the references to surrealists and romantics. 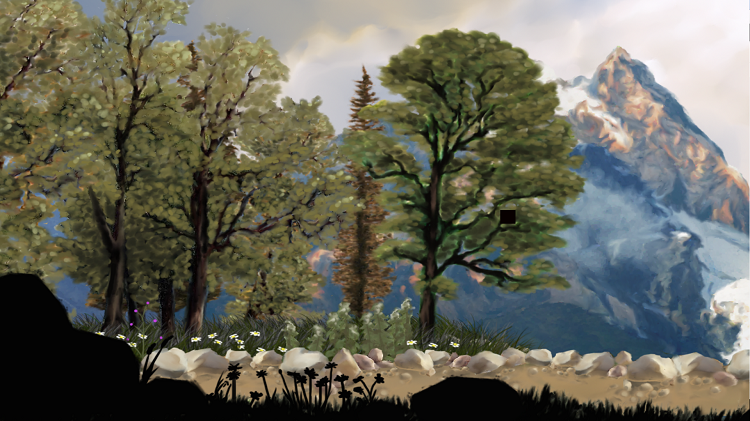 One of the playtesters, Adam, put it wonderfully: There are many layers to the story. Not everyone will explore the deepest layer but everyone got the overarching concept. 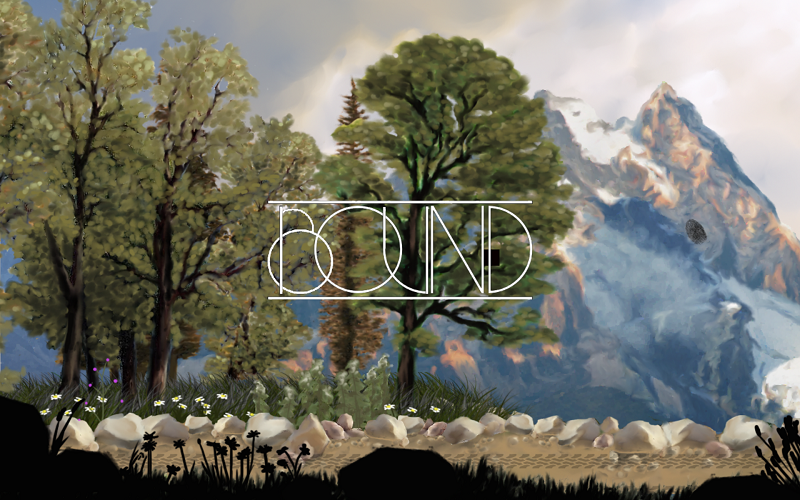 Your feedback is helping me greatly in polishing up this game. And apologies to those that wished to play but where cut short by the time. Drop me an e-mail and I'll be happy to send you the prototype. 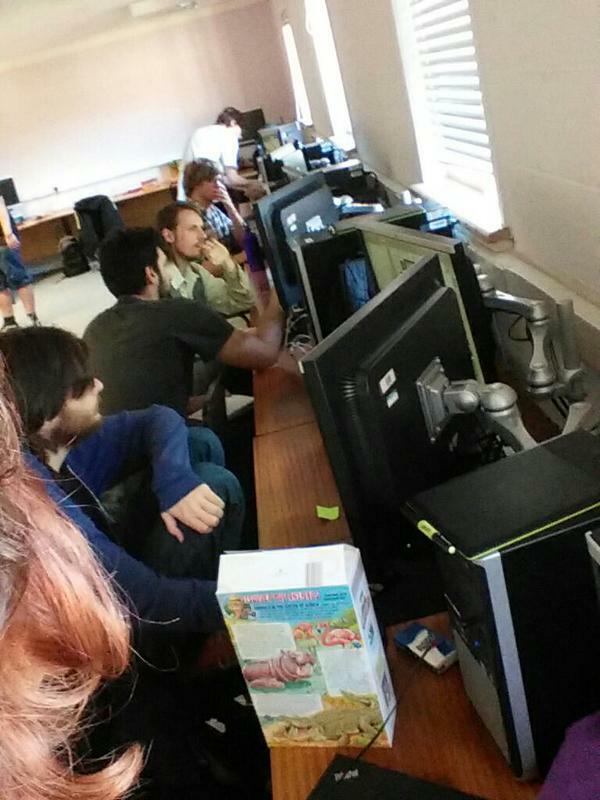 With so much to do, us masters are living 24/7 in the labs while we all finish up our games. Wish us luck! The quick rundown: The paper has been sent to various of my very kind friends and family for proofreading. Thank you everyone who gave me feedback! I owe you a beverage for taking the time to read a very lengthy essay and put in the brainpower to criticise an academic text. After standing so close to my writing, getting fresh eyes has been very encouraging. I can safely say the paper is a couple of days off from being ready. 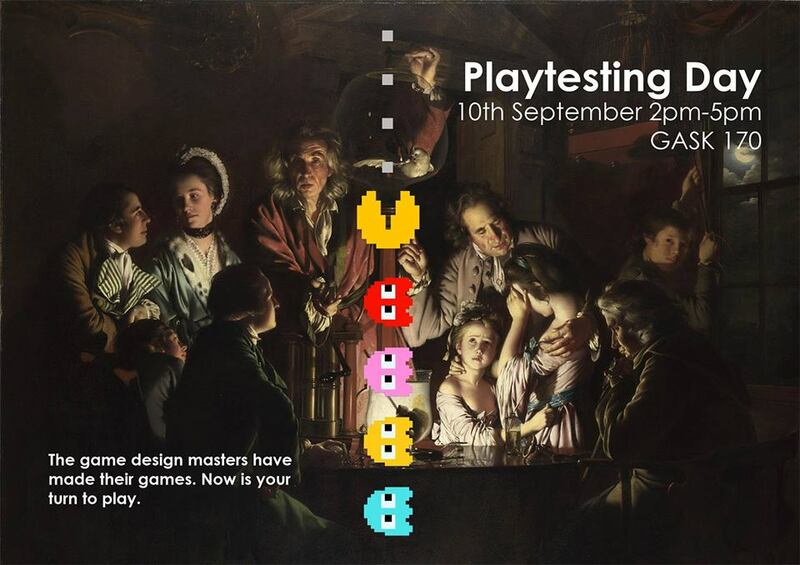 On the 10th of September we are holding a playtesting day at Brunel University London. This is all thanks to our very kind tutors who let us open the labs to guests. Setting myself such a harsh deadline has been tough but productive. The game definitely needs to be of a good enough quality by then. And with that, I'm delving right back to work.